The aim of this video blog is to demonstrate a step by step methodology that we can use immediately to learn how to start a conversation with a girl. This article features seven live videos which we have recorded across Europe to showcase how and why our core principles work time and again. Over the years we’ve refined our philosophy to the point where we are now looking at getting the maximum amount of results expelling the least amount of energy. With the right blueprint as described in the following seven steps, we can begin to feel more self assured and confident in our own ability to attract the types of women we really desire into our lives. 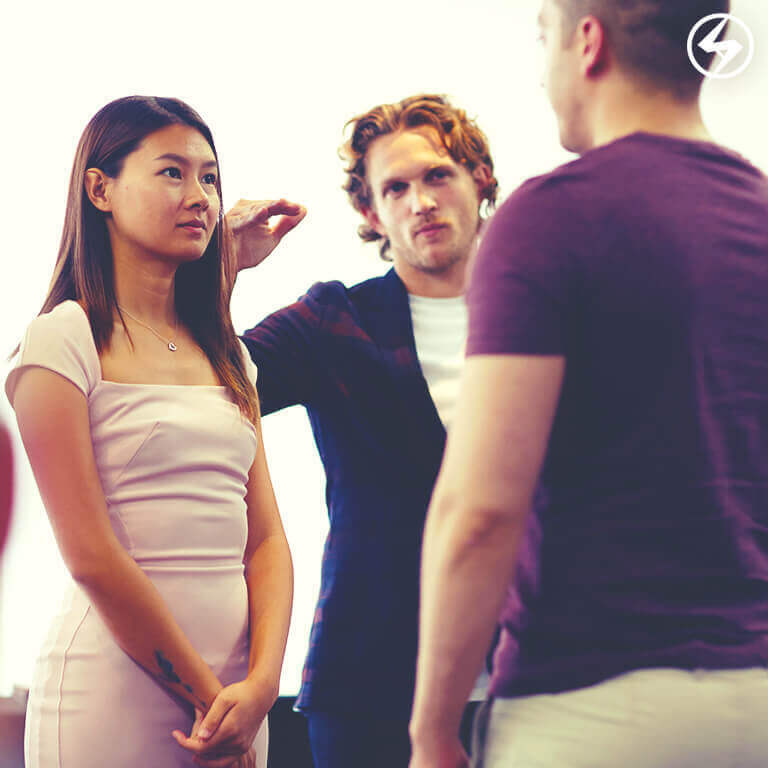 We teach on our pua training courses that before we take the very first step towards approaching new women we need to ensure that we are mentally focused at the task at hand. When our minds are feeling energised and our bodies rejuvenated we are likely to make a memorable first impression. The two most powerful energisers that we can use are known as “power poses” and “affirmations”. As we can see in the video above power poses invigorate our body whilst affirmations strengthen our mind. The beauty of using power poses and affirmations simultaneously is that within a few seconds of seeing an attractive lady we can instantly energise ourselves. This provides us with the confidence that we can access the energy required to make a solid first impression. 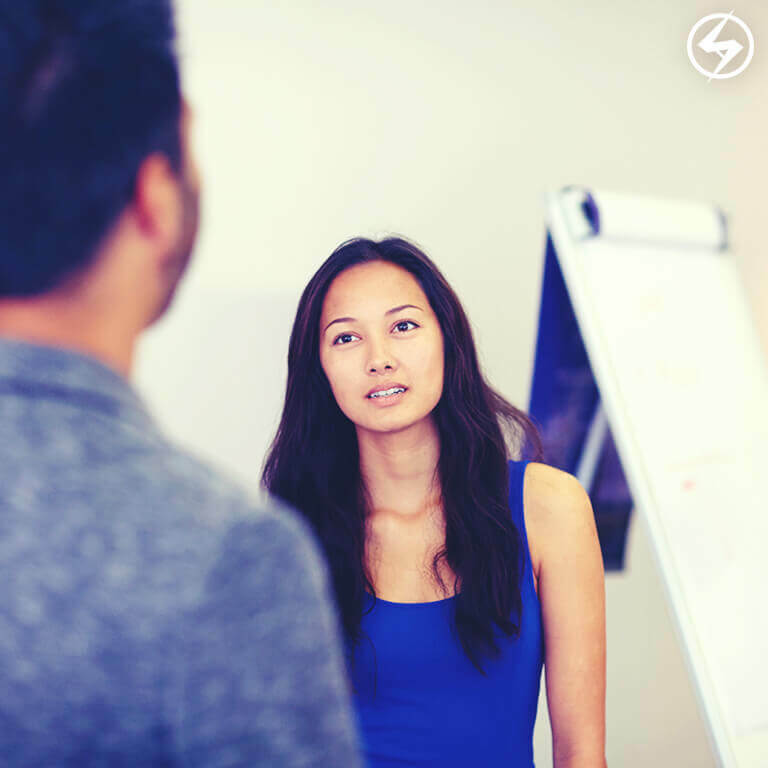 We explain on our pick up artist courses that when we utter our first words it’s normal to be feeling a little anxious and as a result we often speak too quickly. We’ve discovered that if we are able to add a simple pause into our approach, it allows women the time to become fully present in the moment. As we can see in the video above, it’s important to use the pause immediately after we’ve gained their initial attention with “Hey”, “Excuse me” or “Hello”. This principle also allows us the time to relax into the moment without feeling compelled to start talking immediately. The other added benefit of pausing before we speak is that it also permits us to obtain solid eye contact before we continue the conversation. There are many different ways to approach women during the day, and in my experience the most powerful method is by learning how to compliment a girl. We simply select something specific about the girl that we like, and we then go and tell her with our full conviction. Over the years I’ve come to recognise that the more specific we can make our compliment, the better our approach is received. A great example is to praise women on particular items of clothing which have caught our attention. Allowing ourselves to be caught up in the moment creates a unique serendipitous and fun interaction for both of us. On our dating coach courses we replicate real life conditions as much as possible, and in our experience we are often on our way somewhere when we see an attractive lady. 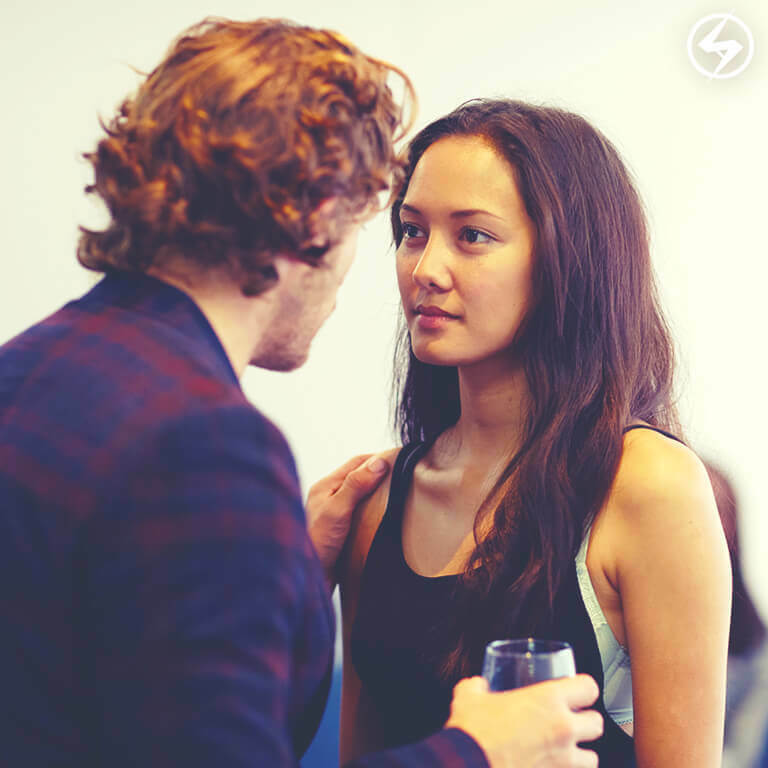 From a female perspective when we limit our time it instantly takes the pressure off the conversation as it won’t require too much of her investment. As we can see in the video above, the girl was also in a rush so I decided to walk with her but only for a few minutes. Without the use of a clear time constraint this specific interaction could not have taken place. Time constraints also allow us a fantastic opportunity to end an interaction early if for whatever reason we do not wish to continue the conversation. When we are learning how to start a conversation with a girl sometimes we can often catch them off guard and not ready to engage into a new conversation. This is where many of us go wrong by asking her a myriad of different questions, which ultimately ends with the poor girl feeling like she’s in a job interview. If we are able to turn our normal mundane questions into statements it instantly creates a unique and fun first interaction. The more confident we are at making statements, the more natural and spontaneous we can make the interaction. The other benefit of making statements is that it also takes the pressure off her having to answering the same questions which she has been posed by an entourage of men from her past. When we are learning how to attract women for the very first time their knowledge of us is extremely limited. This is where conversational threading helps us to paint a picture of who we are in their minds eye. All we have to do is to listen to what the girl is saying, select the one word we know most about and then form a sentence in reply. It’s worth watching the video above again to see exactly how I use this simple principle and how easily it helps the conversation to flow in a natural way. In my experience the best way to get better at talking to girls is to remove all form of negativity from our conversations. If we are able to be positive and upbeat from the outset then it automatically conveys a host of different attractive parts to our personality. When we take a girl’s number it’s important to remember that our aim is to meet us with her again. Rather than sending a multitude of different messages and then trying to organise a date though our phone, it’s much easier as part of our pua text game to get a date in the diary there and then. As you can see in the video above if we are also able to create an emotional response that compels the girl to want to come along, then we are far more likely to see each other again. The final point to note about exchanging details with women is that it’s healthier to invite them along to something which we are already doing as opposed to trying to organise a one to one date. It’s a much lower level investment for a girl to join us and as a direct result means we can also get more dates into our diaries. Hey Buddy!, I found this information for you: "Daygame – 7 Powerful Tutorials Featuring Real Life Footage". Here is the website link: https://www.socialattraction.co.uk/daygame/. Thank you.